Whilst modern facilities are an important characteristic of our workplace, we also pride ourselves on the friendly, supportive environment that we nurture and enjoy. Our employees around the network work in small, flexible and friendly teams, and we actively promote a workplace culture which embraces and reflects our core values - namely responsibility, respect, teamwork and aspiration. We have an inclusive outlook, and a diverse workforce, which enriches our own culture. Our people value that feeling of being part of a major NZ healthcare brand that delivers high quality care and service - in a warm, friendly and fun environment. To continue to be an employer of choice in attracting, motivating and retaining people, we are developing integrated systems to support our people in their efforts to achieve high levels of performance and engagement. 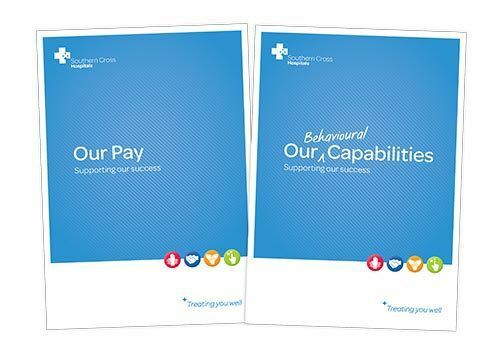 Along with our professional and leadership development initiatives, we have introduced ‘Our Behavioural Capabilities’ and ‘Our Pay’ to support the successful development of the business. ‘Our Behavioural Capabilities’ provide us with a shared language, help us focus on doing the right things in the right way, and support development efforts and performance. 'Our Pay' is the remuneration framework that ensures our pay structure is transparent, robust, competitive, and reflects individual performance. We promote a culture of teamwork and team-based learning, which supports employees across the organisation at all levels. Learning isn’t something that should be confined to training rooms, web-based learning environments, classrooms and conferences - although we do promote learning through those means. We know that development can also be achieved by sharing knowledge, tackling problems together and collaborating to share ideas, experience and resources. Teamwork thus allows us to learn together, share knowledge and develop capabilities that benefit everyone. We will take ownership and pride in our work. We will act with integrity and be accountable for our behaviour. We will act fairly in a culture of mutual trust and respect. We will work together because we know that a strong team will always outperform strong individuals. We will aspire to the best we can be. We will recognise and celebrate success.